The modern material itself is durable and long-lasting, and has a fresh, almost futuristic appeal. The pros at LDa Architecture & Interiors are seeing it on everything from curtain rods to coffee tables. 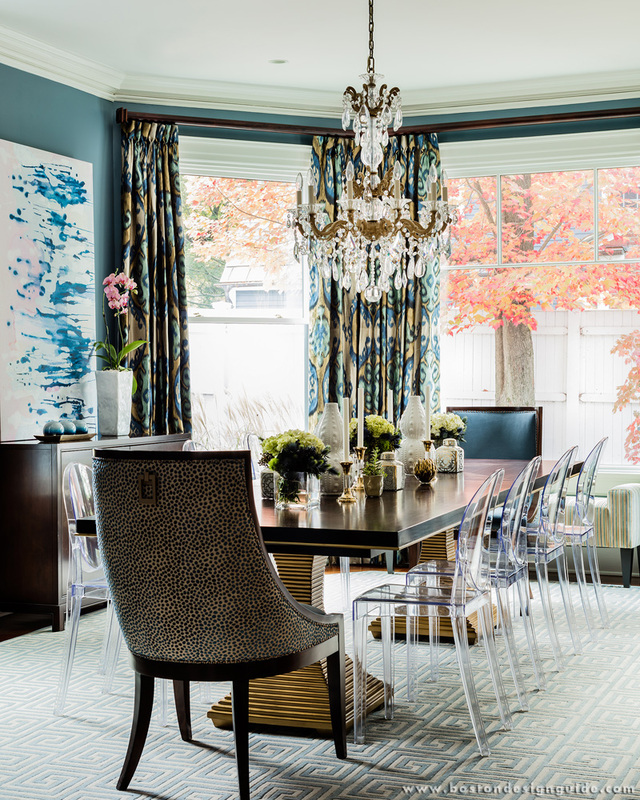 Not only does Lucite add sparkle to a room, it also does a bit of a disappearing act. The material gives added weight to items that rest on it, and, because it’s translucent, it doesn’t block the rich patterns, textures and colors that enliven a space. The eye passes right through, resting instead on the interior design features that are meant to stand out. 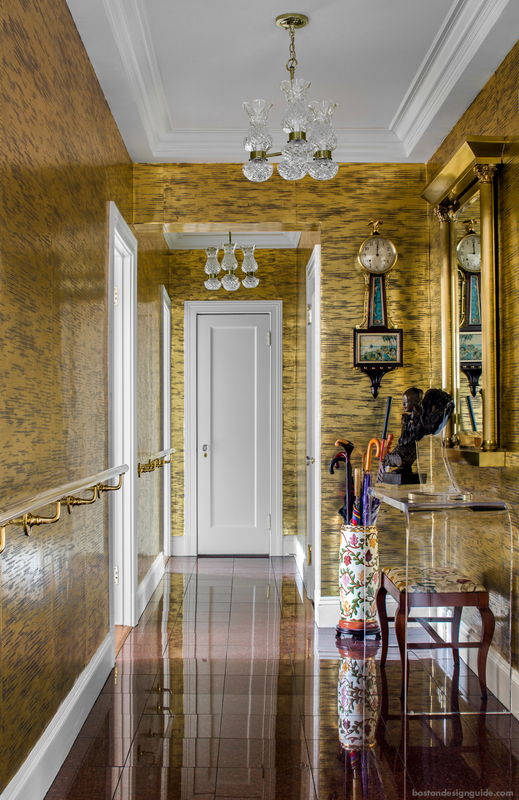 When used in tandem with upholstery and other materials, Lucite shines in a supporting role. 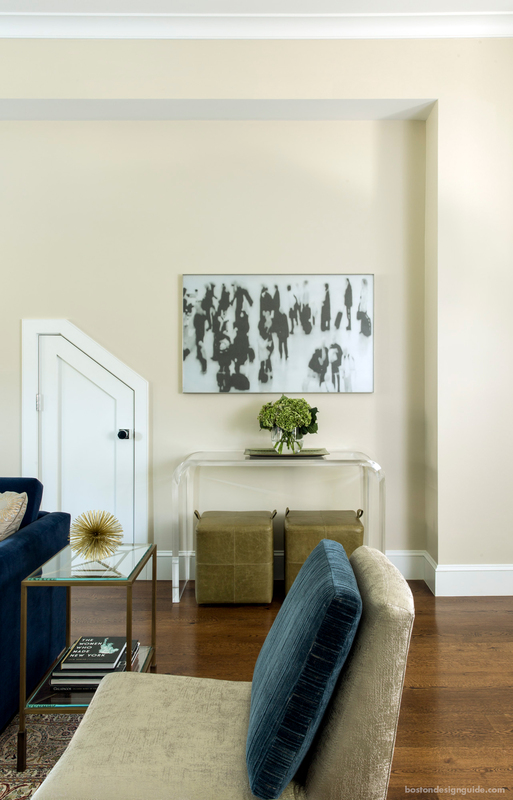 In the living room below, designed by Heather Vaughan Design, the geometric patterns of the chair seats and the ivory pouf of the stool/ottoman steal the spotlight. The same idea is at play in the office setting conceived by interior designer Audrey Sterk, below. 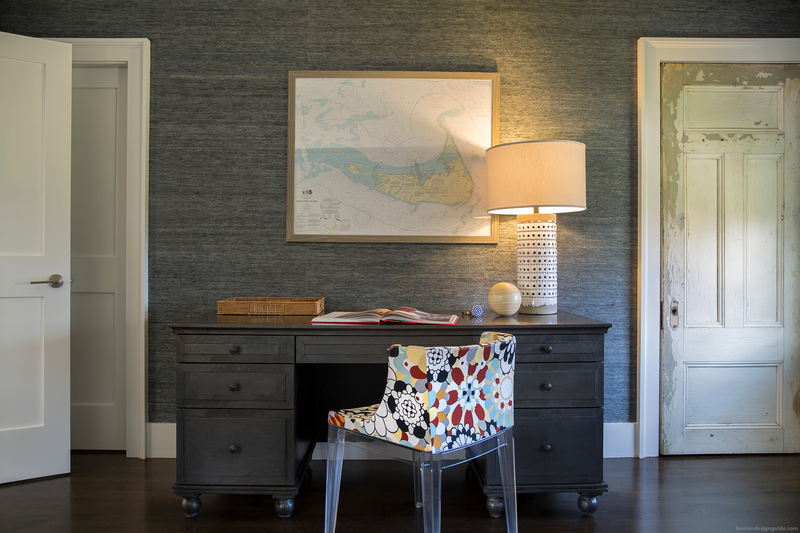 Here, Lucite brings an added pop to the bold, floral pattern of the desk chair, and animates the more subdued textured wall covering.